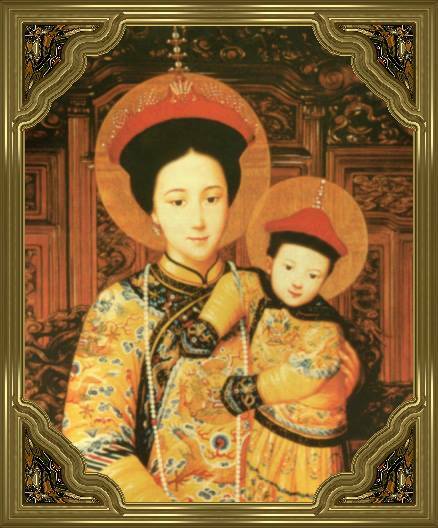 Christians have always celebrated the life of Mary, because of her yes. But because we think of Mary as she lives now the life of God, we forget what her life was like when she said, “Yes.” She was a teenage girl engaged to be married. Because she said, “Yes,” to God’s request that she conceive God’s son in her womb, she risked rejection by her fiance and her community. Mary’s yes to God, in all of its innocence, had real implications for Mary in her day-to-day life. It meant that she would be misunderstood. Mary understood the implications of saying yes. Her question to Gabriel, “How is this possible, since I have not had relations with a man,” suggests the kinds of thoughts that were rolling around in her mind. When Mary said, yes, her choice was not naive; she understood something of the consequences of yes. Mary’s yes meant that she closed off every route to safety. Telling her parents that she was pregnant would be difficult: “Well, Mom and Dad, you see, there was this angel . . . . ” What about her fiance, “Joseph, you are still marrying a virgin.” Saying yes to God sometimes can be an isolating experience. But Mary trusted God would do God’s part, and she said, “Yes,” knowing that it was going to mean a lot of trouble for her. The gospel passage today then is about a young person in deep trouble who rejoices that someone actually understands what has happened. The passage is about the need to be understood and accepted. Luke tells us that Mary, like all of us, desired to be trusted. Elizabeth’s greeting said to Mary that she was not alone. God reached into Mary’s world and explained to an older woman what exactly was going on with the younger one, because God wanted to comfort and encourage the daughter to whom God had entrusted the Son. This is a passage and a feast of the Christian community which celebrates all of us in our pain and isolation. Someone understands. Mary may have closed off every road to safety in her yes, but God still built for her a bridge to being loved and accepted by someone who was important to her. Saint of the day: A young, unwed girl finds herself pregnant. Should she hide from the possibility of the sentence of death by stoning which her culture imposes? Mulling over hrr course of action, the young women hurries to her elderly cousin, Elizabeth, whom the angel said was with child. Miracles are all around. But not just big miracles, such a the virginal conception and post-menopausal conception, but also the miracle of love: Mary must have realized that her cousin’s pregnancy would be difficult at such an advanced age and went to share her burden. Then there is the miracle of the revelation of life in the womb as the children danced in greeting; the prophet meets his Savior. To top it off, we have the bridge between the Old Testament and the New in the Magnificat. The Visitation is, for all these reasons, of celebration of life and fruitfulness in the spring of the year. 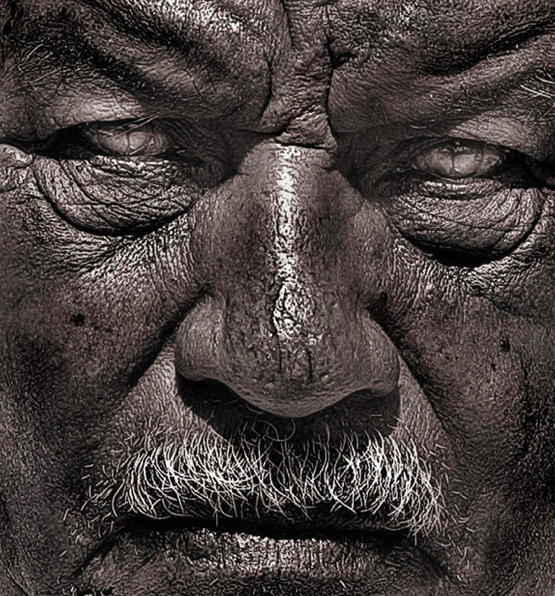 Reflection on the gospel reading: Bartimaeus, a blind man who sits by the road in Jericho, gives us one view on life. All of us, in some way or the other, sit by the roadside in need. Maybe we have problems making ends meet, or perhaps we suffer with some illness or disability. No matter what our material problems are, each of us in some degree or another is afflicted with some corruption of the heart, a turning away from the real purpose of our lives. Our hopes, attractions, and desires too often tend to wrong-headed things, like wrath, greed, sloth, pride, lust, envy, gluttony, or any of a myriad of related soul sicknesses. 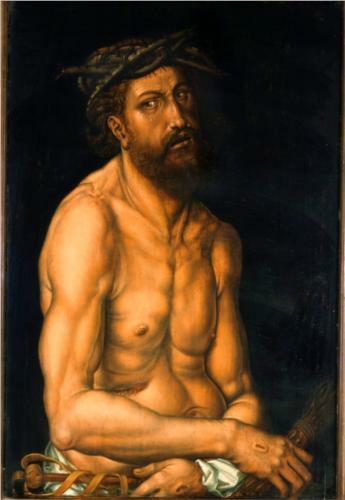 Bartimaeus, however, has something going for him that many of us do not. He is waiting: waiting for something. He doesn’t know what he is waiting for, but he anticipates a helping hand is coming. He perseveres from day-to-day, sure that someone will extend to him the hand he needs. When he does this, Bartimaeus assumes the attitude of prayer, which is an attitude of patient waiting. The gospel tells us that Jesus is passing by, and when Bartimaeus senses the Lord’s presence, a prayer immediately comes to his lip, “Jesus, son of David, have pity on me.” It is a self-activating prayer, the prayer of the heart. When Jesus hears him, the crowd, like the Church, comes to Bartimaeus and tells him to take courage, because Jesus is calling him. Jesus asks Bartimaeus what he wants, and Bartimaeus tells him he wants to see. And what is it that Bartimaeus’s eyes see when Jesus opens them? What is it that we perceive as we sit with Bartimaeus patiently waiting? 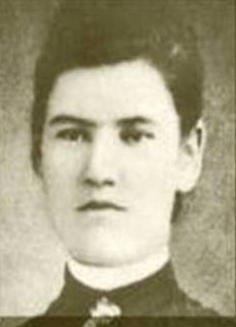 Saint of the day: Eleonore Potvin was born on January 4, 1865 in Angers, a small village in Quebec. She was a prayerful girl who lost her father when she was 10-years-old. A cheerful and lively teenager, she walked six miles a day in all seasons to attend mass and receive communion. She would sometimes make a prolonged thanksgiving after mass and might not return home for hours. When she was 20, she left home to go to Hull and become a seamstress. She entered religious life, joining a community of women in Toronto, but in the first four weeks, she was sick three weeks, and the Mother Superior recommended that she consider returning home. Eleonore did just that. After she returned home, she sought employment as a housekeeper in the local parish. The priest, Fr. 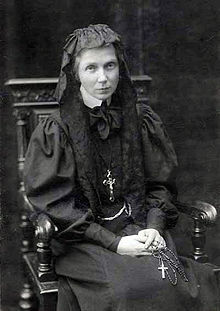 Mangin, hired her and admired her skills in keeping the house as well as Eleanore’s practice of remaining for several hours a day in prayer before the Blessed Sacrament. When another young woman, Sophie Chauvin, presented himself to the priest wishing to find some way to serve God, the priest recommended that she and Eleanore speak with each other. They found one another to be kindred souls and together joined the newly inaugurated Third Order of St. Francis. Eleonore became Sr. Zita, and Sophie became Sr. Delphine. After a series of mystical and other spiritual experiences, Fr. Mangin and Sr. Zita decided to found a cloistered congregation of women religious whose mission would be to pray for priests. Zita start the community in December 1894, and Delphine joined her as the first member of the community. Within months, two more women joined them. With the supportive if skeptical approval of the bishop, Fr. Mangin and Sr. Zita formally founded the Congregation of the Servants of Jesus-Mary on May 23, 1895. Zita became the community’s superior, but she chose to be called, “mother-servant,” a title which continues in the community to this day. By 1898, the community had 25 members and had to move several times in search of larger space. In 1902, they moved to Hull to a location which to this day remains the mother house of the community. 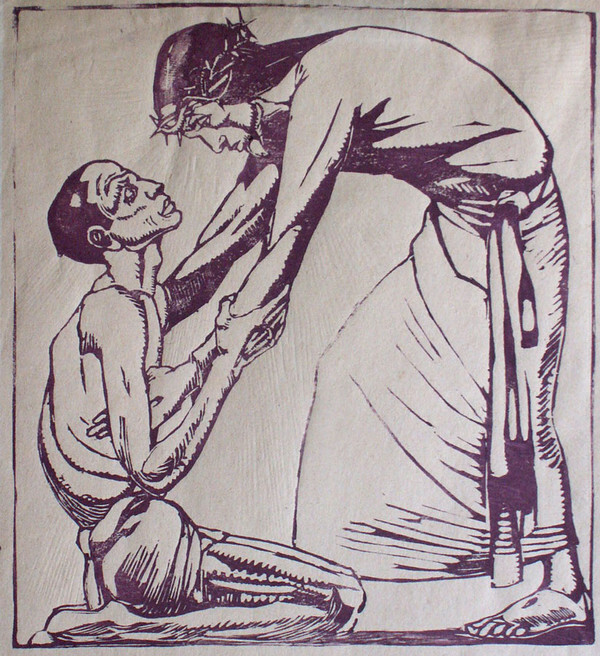 Zita was diligent in serving the community, expanding its spiritual life, and writing its rule. She contracted tuberculosis in June 1902. On May 30, 1903, she died. She was only 38-years-old when she died, having lived eight of those years in religious life. 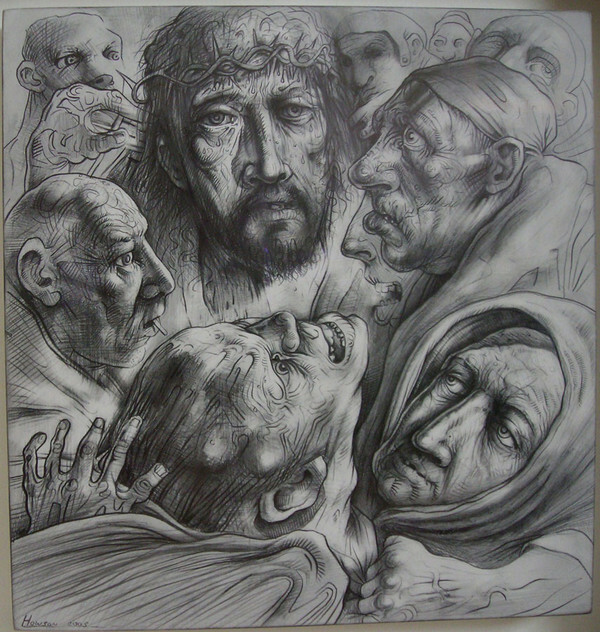 Reflection on the gospel reading: Like all of us, at least from time to time, James, John, their mother, and the other 10 apostles are caught up in a world of illusion where powerful men and women act out charades of power which, lacking justice, are little more than organized robbery. But Jesus teaches a gospel of authenticity: he models something different, that what is really real is commitment of the will to the true good of the other. Every area of our lives confronts us with a challenge to bet our lives that the world we see around us, while real, is not the really real–not reality itself. This eschewing of power, this embrace of justice, this willingness to sacrifice ourselves is exactly what it means to drink from the cup from which Jesus drinks. Saint of the day: Julia Maria Ledóchowska was born on April 17, 1865 in Loosdorf, Lower Austria, to Count Antoni Halka-Ledóchowski, whose ancestors lived in eastern Poland, and his second wife, Countess Josephine Salis-Zizers, a descent of an old Swiss aristocratic family. She was the fifth child of a family that came to have ten children. Cardinal Mieczysław Halka Ledóchowski was a paternal uncle. Due to financial reverses, the family moved in 1874 to Sankt Poelten, where Julia and her sister attended a grammar school run by the Religious Sisters of Institute of the Blessed Virgin Mary, commonly known as the Sisters of Loreto. In 1882 her father acquired an estate in Lipnica Murowana near Tarnów (then in Galicia, Austrian Lesser Poland) and in 1883 the family moved there. The count died in February 1885 from smallpox. The siblings’ uncle, Cardinal Ledóchowski, assumed responsibility for them. On August 18, 1886 Julia Maria entered the novitiate of the Ursulines of Kraków. The next year she received the religious habit and was given the religious name Ursula Maria. 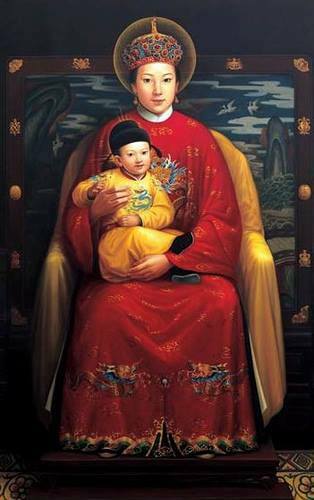 In 1904 she was elected as Mother Superior of the monastery. In Kraków she opened a home for female university students. At that time that was a new phenomena. She went to St. Petersburg in Russia, where she worked to build up St. Catharine House, which was a residence for Polish youth living there. She wore civil clothes, because Catholic institutions were illegal in the Russian Empire. As the tsarist government oppression to Catholics grew, she moved to Russian-controlled Finland, where she translated prayers and songs for Finnish fishermen, who usually were Protestants. In 1914 she finally was expelled from the empire. After then settling in Stockholm, Sweden, Ursula Maria Ledóchowska started a language school and a domestic science school for girls. In Denmark she founded an orphanage. In 1920 she moved back to Poland with 40 other nuns who had joined her in her mission. With permission from Rome she changed her independent monastery in Pniewy into the then newly founded Congregation of the Ursulines of the Agonizing Heart of Jesus. In 1928 she founded a religious center in Rome. 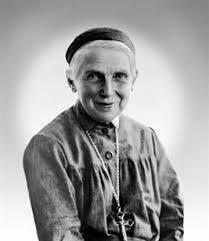 In 1930 she sent 30 nuns to female Polish workers in France. In early May 1939 she traveled to Rome, where she died on May 29, 1939 at the age of 74, in the Gray Ursuline convent, Via del Casalet, of natural causes. Her incorrupt body was taken to the Gray Ursuline motherhouse in Pniewy, Poland in 1989. Ursula Maria was beatified in 1983 and canonized in 2003. In 2003 the congregation founded by her numbered about 900 Sisters in 100 communities located in 12 countries around the world. There are communities in Italy, Poland and the Philippines. One thing that has not changed from the beginning of human life is the need to eat and drink. We instinctively know that this is necessary for our well-being and living. Whether we share the fare of a well stocked pantry or the left over handouts or leavings of a sometimes uncaring world, our subsistence depends on it. Whenever we gather, for whatever reason, it seems food and eating is always in someway involved. We see today in the Gospel where an enthusiastic crowd came out but did not bring food. This feeding of the crowd was meant to foreshadow and point the way to the Eucharist, a food meant to fill a different hunger, a hunger for the Spiritual, for the Life of God. Jesus as we know came to live and die and rise so we could have life. But that life needs him and He gave us a real and tangible way to have Him and at the same time have a special food or nourishment for the journey. He as we know gave us his body and blood, which were given up in his death. He has given us these in the simple form of bread and wine. Both are the mainstays of diet in many cultures and are common today. Most important is to remember that these are His Body and His Blood. The very thought was so awesome in past centuries that people feared to receive the Eucharist saying they were not worthy. Forms of worship, like benediction and perpetual adoration replaced what was meant to be a daily food the same as we need in life every day. Fortunately, that changed in the last century and even the cup was restored the people of God, so that all around the table shared the Body AND Blood of Christ. Thus a common awareness arises that in that body and blood we are in a real way united and called to be one with Christ and with one another. In Him we become very specially called to reach out to share our faith by being Christian, which means to meet the needs and concerns of others as best we can, as Jesus did when He walked the earth. The world was broken then and it sure is now. The difference is we know that the brokenness of Christ’s Body can alleviate the brokenness of the world. Our role, while small, is to do and give as Jesus did. We are called to reach out to the poor. While there will always be the poor, there should always be love and care for them. 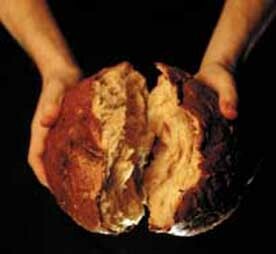 So let us remember that we are a Eucharistic community, one bread, one cup. We share one table in a banquet open to all. All we are called to do is believe and share and Jesus with the Spirit fills us and make us one in them and each other. This is the real power of reaching out to a broken world. 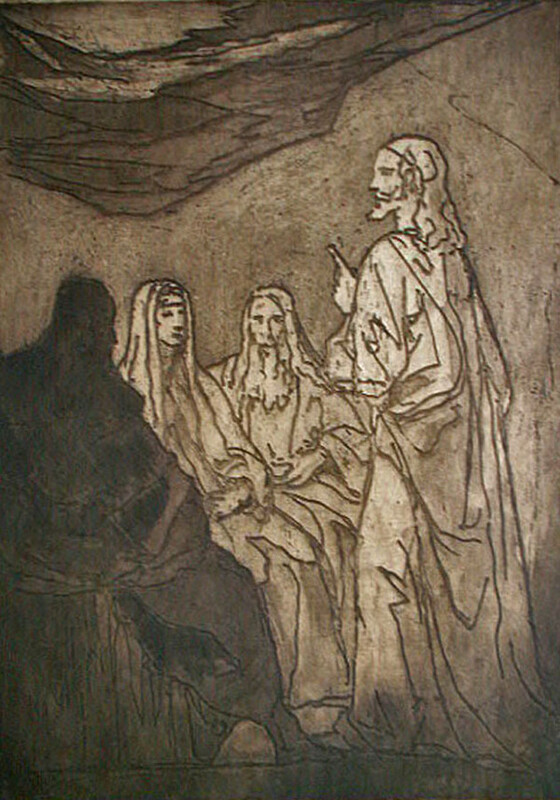 Reflection on the gospel reading: Among the founders of the religions of the world, Jesus uniquely asked that his disciples love and follow him. 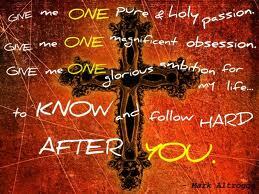 Jesus is at once the founder and focus of Christianity. From the very beginning of the faith, Jesus has been the central goal of his followers, and it was Jesus’ intention that he be this. This is apparent in today’s gospel. In this passage, Peter observes that he and his companions have made a radical commitment to follow Jesus, that they have left everything to be with Jesus. And Peter’s comment elicits from Jesus an important response, that Jesus should be at the center of the lives of his disciples. So it is at Jesus’ instruction to us, with love for him and confidence in his teaching, that we proclaim that to the glory of God the Father, Jesus Christ is Lord. Saint of the day: Piotr Gołąb (Peter Dove) came from a large family in Upper Silesia in Poland. Born in 1888, he received his first communion in May 1898 years. At 16, he began attending school in Nysa and then continued his education at the at St. Gabriel in Vienna. There on September 7, 1911, he began his novitiate in the Society of the Divine Word, and on October 1, 1915, he received priestly ordination. During World War I, he was drafted into the army as a chaplain in Torun military hospital. From 1919 he studied Polish literature at the Adam Mickiewicz University, and after graduating he joined the Mission House, Queen of Apostles in Rybnik where he served as a prefect. From 1924, he held a number of positions as director, teacher, editor, and master of novices. After the outbreak of World War II, on October 28 ,1939 German arrested all the ministers present in the House of St. Joseph and established a temporary camp there. The extermination of the clergy started on November 18, 1939; 20 priests and seminarians were shot in a nearby forest. Peter Dove was taken on February 5, 1940 to a German transitional camp Zivilgefangenenlager Neufahrwasser and on February 9 to the concentration camp Stutthof. After two months, he was moved to the concentration camp in Sachsenhausen. Exhausted, tortured, and ill, he was was transferred on December 14, 1940 to Dachau with the tattooed registration number 22601. There, he was beaten and died from exhaustion on May 28, 1943; his body was cremated. At death, he weighed 82 pounds. He is among a group of Polish martyrs whose cause for beatification is being investigated by the Church. Reflection on the gospel reading: Jesus in today’s gospel tells us that he has invited us to enter into a great mystery, the life of his Father. Mystery, of course, implies something that is incomprehensible. The Spirit whom Jesus is sending us is the very same Spirit who led Jesus into the desert and from the desert to the Cross. Jesus tells us the Spirit will guide us to all truth, but there are truths which repel us and paths that lead to places we don’t want to go. We might wonder if there’s a certain madness in praying for the gift of the Holy Spirit, because the Spirit is ravishing; there’s nothing pretty about the Cross; and anyone who thinks the Holy Spirit is safe hasn’t been paying attention. The Spirit is completely good; we can trust the Spirit absolutely; but the Spirit is not safe. The gift of the Holy Spirit is an immense mystery, precisely because the Spirit will ravish us, and we cannot know what the outcome will be except that we shall never be the same again. The mystery of the Trinity’s interactions in human history is the mystery of creativity, suffering, and love. That enables, enfolds, and enlivens all things. Reflection on the gospel reading: There are two childhoods–one is the physical one as we grow to adulthood; the other is the childhood of the spirit which acknowledges and surrenders to the Fatherhood of God. Jesus calls out to all who are openhearted, gentle, simple, teachable, and trusting. 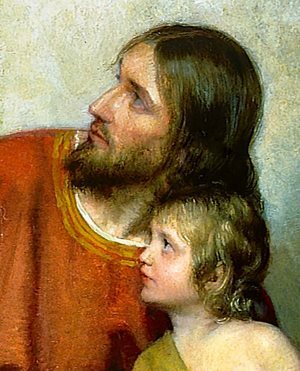 It is to all the children, by age and disposition, that Jesus offers his invitation to come to him that he may embrace and bless us as we journey to the Father. Saint of the day: Saint David Uribe Velasco was born on December 29, 1888 in the small town of Buenavista de Cuellar in the State of Guerrero, Mexico. He was the son of Juan Uribe Ayala and Victoriana Velasco Gutierrez, a humble married couple of few material resources but with proven and exemplary virtues. David was the seventh of eleven children. He was baptized on January 6, 1889. 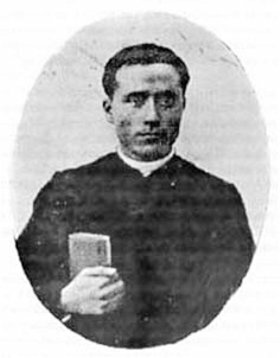 He enrolled in the Seminary of Chilapa in 1903 and in 1909 received Minor Orders. The following year he became sub-deacon and in 1911, a deacon. On March 2, 1913 he was ordained a priest by D. Francisco Campos, Bishop of Chilapa. He became a parish priest at Buenavista de Cuéllar and Secretary to Bishop Antonio Hernandez Rodriguez of Tobasco. 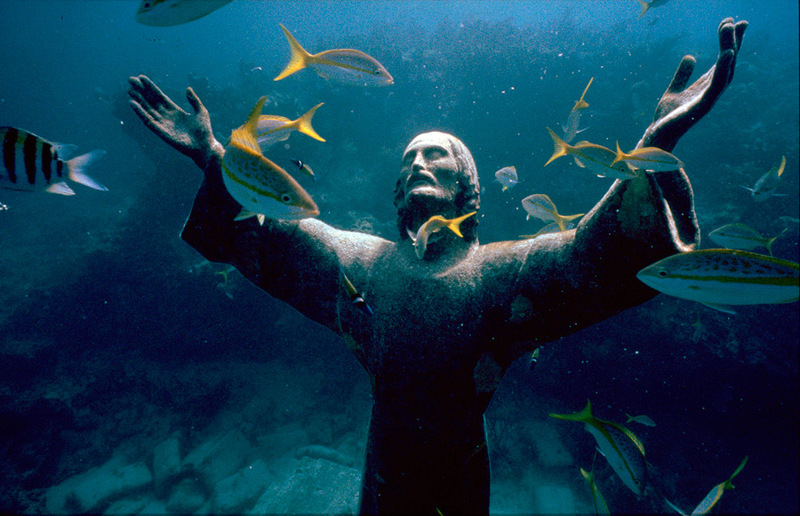 In 1914 David and the bishop were ordered to relocate to Chilapa, Guerrero ahead of the anti-religious violence that was sweeping the country; their ship sank, but David, the bishop, and four others survived. He became a parish priest at Zirandaro, but Zapatista uprisings forced him to return to Chilapa. He again took up the life of a parish priest at Buenavista de Cuéllar, Telotlsapan and Iguala in Guerrero. Fr. David had a devotion to Our Lady of Tepeyac. 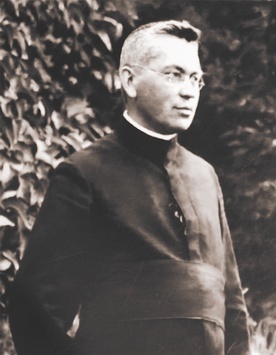 On July 30, 1926, as a matter of public safety, the bishops of Mexico ordered a halt to public worship, and for churches to close; David, reluctant but obedient, accepted the order, but later returned covertly to his pastoral duties. He was arrested by the military on April 7, 1927, and taken to Cuernavaca. He declined to succumb to compromises which would have saved his life and wrote his will on April 11, 1927. The following day he was taken to a place close to San Jose Vidal in the State of Morelos where he would be shot. He had hardly gotten out of the car when he kneeled down and from the depths of his soul begged God for forgiveness for his sins and for the salvation of Mexico and its church. He got up slowly, and addressing the soldiers with a paternal tone, said to them, “Brothers, kneel down so that I may bless you. With all my heart I forgive you and I only ask that you pray to God for my soul. As for me, I will not forget you when I am before Him.” He firmly raised his right hand and in the air traced the sign of the Cross; after he divided among them his watch, his rosary, a crucifix and other objects. He was then shot in the back of the head. Jesus said to his disciples: “Anyone who gives you a cup of water to drink because you belong to Christ, amen, I say to you, will surely not lose his reward. “Whoever causes one of these little ones who believe in me to sin, it would be better for him if a great millstone were put around his neck and he were thrown into the sea. If your hand causes you to sin, cut it off. It is better for you to enter into life maimed than with two hands to go into Gehenna, into the unquenchable fire. And if your foot causes you to sin, cut if off. It is better for you to enter into life crippled than with two feet to be thrown into Gehenna. And if your eye causes you to sin, pluck it out. Better for you to enter into the Kingdom of God with one eye than with two eyes to be thrown into Gehenna, where their worm does not die, and the fire is not quenched. Reflection on the gospel reading: The gospel passage today at its root cautions us to live exemplary lives because what we do for one another is what we do for the Lord. We are to avoid injuring one another, even the interior lives of other people. Jesus calls us to make a radical commitment to his way of life; the life of a Christian, he tells us, is the way of compassion and peace. What we do to one another is so important that we are to go to any length to serve each others’ interests no matter what it may cost us personally. Saint of the day: Father Emil Kapaun, was born in Pilsen, Kansas in the Diocese of Wichita, Kansas on Holy Thursday, April 20, 1916. He was ordained as a Priest for the Diocese on June 9, 1940 and entered the U.S. Army Chaplain Corps in 1944. Separated from the service in 1946, he re-entered the Army in 1948 and was sent to Japan the following year. In July of 1950 Father Kapaun was ordered to Korea. On November 2 of that same year he was taken as a prisoner of war. After he was captured, Kapaun and other prisoners were marched for several days northward toward prisoner-of-war camps. During the march Kapaun led by example in caring for injured Soldiers, refusing to take a break from carrying the stretchers of the wounded while encouraging others to do their part. When Kapaun began to suffer from the physical toll of his captivity, the Chinese transferred him to a filthy, unheated hospital where he died alone. As he was being carried to the hospital, he asked God’s forgiveness for his captors, and made his fellow prisoners promise to keep their faith. 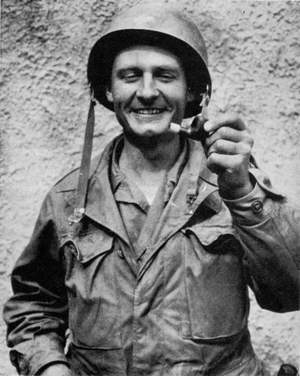 Father Kapaun died in captivity on May 23, 1951. He was declared a Servant in God in 1993 and posthumously received the Medal of Honor from President Obama in 2013. At that time, John said to Jesus, “Teacher, we saw someone driving out demons in your name, and we tried to prevent him because he does not follow us.” Jesus replied, “Do not prevent him. There is no one who performs a mighty deed in my name who can at the same time speak ill of me. For whoever is not against us is for us. Reflection on the gospel reading: Human goodness surrounds us, and I have found courageous kindness everywhere in my life, both among people who believe in Jesus and those who do not. Jesus corrects his disciples for believing only those who are numbered among his followers can do good things. Jesus knew, and all of us can witness, that human beings, whether or not they are Christians, are quite capable of much good. God speaks in every human heart, whether or not that heart is attached to a mind that confesses Jesus, and God’s achievements occur among believers and non-believers alike, for as Jesus says elsewhere in the gospel, God causes the sun to shine and rain to fall on everyone alike. Recognizing and loving God’s goodness in everyone is the perfection to which we are called. 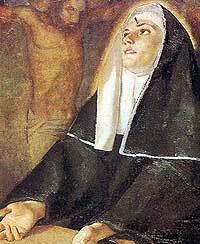 Saint of the day: Saint Rita was born at Spoleto, Italy in 1381. At an early age, she begged her parents to allow her to enter a convent. Instead they arranged a marriage for her. Rita became a good wife and mother, but her husband was a man of violent temper. In anger he often mistreated his wife. He taught their children his own evil ways. Rita tried to perform her duties faithfully and to pray and receive the sacraments frequently. After nearly 20 years of marriage, her husband was stabbed by an enemy, but before he died, he repented because Rita prayed for him. Shortly afterwards, her two sons died, and Rita was alone in the world. Prayer, fasting, penances of many kinds, and good works filled her days. She was admitted to the convent of the Augustinian nuns at Cascia in Umbria, and began a life of perfect obedience and great charity. Sister Rita had a great devotion to the Passion of Christ. “Please let me suffer like you, Divine Savior,” she said one day, and suddenly one of the thorns from the crucifix struck her on the forehead. It left a deep wound which did not heal and which caused her much suffering for the rest of her life. Rita died on May 22, 1457. She is the patroness of impossible cases. Today we celebrate the Solemnity of the Holy Trinity. Being the name of our particular parish makes it a bit more relevant in our local celebration. The first thing to realize is the fact that the Trinity is a mystery and really is impenetrable to all of us who would like to solve it. It requires acceptance, while still allowing us glimpses of what it is and how it affects us. It took centuries and the Jewish experience to solidify the concept that there was only one God who was all-powerful and proactive in the world. With the coming of the redemption of the world and the realization that the redeemer was actually the Son of God who was gifted with all God had and of course co-equal. But the man Jesus Christ gave us the love shared in the relationship with God the Father personified in the Holy Spirit who was also gifted with all the Father and Son were gifted. This Spirit, this love dwells within us in a special way. It is God with us at all times helping us along the way. These three entities or persons in our meager understanding make up the Trinity, three persons, One God. 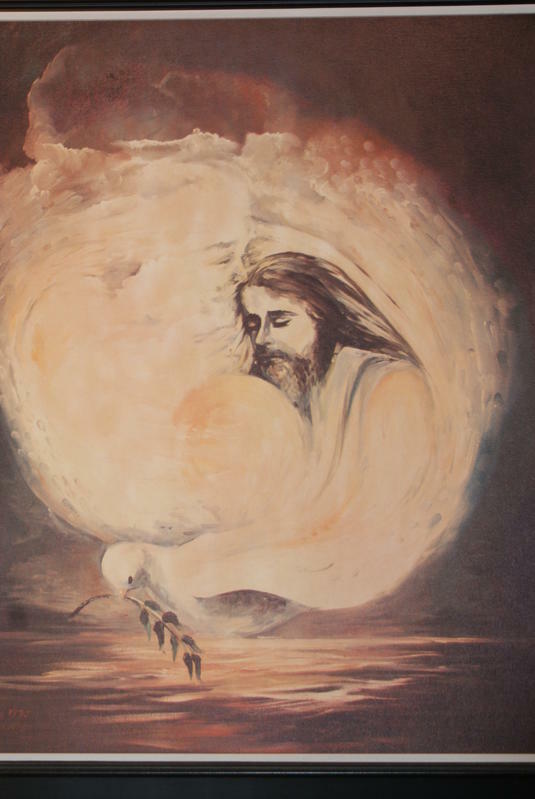 This manifestation of who he is helps us understand God’s love and its centrality to our beliefs. Remember when Jesus said there are two commandments, namely, love God and love your neighbor as yourself. In reality, if you think about it, if you don’t know and love yourself you are in trouble. But God steps in and the Spirit who is love fills us and is ever working on us to help us love our neighbor. Unfortunately, as human beings we can be flawed or disordered maybe too self-centered, too focused on the “I” instead of you. Just look at history and we see how often Christians couldn’t somehow love but instead turned their back on one another. The Spirit has not abandoned us, for the Spirit, God is always with us. Sometimes it is really hard to love your neighbor, especially if he doesn’t want it. Rejection, scorn or whatever is not an excuse to not love, it means we should just move on until another time or place hopefully. As we know, the Spirit works when he wants, where he wants and how he wants. Being open to that love, to our neighbor’s love brings us God’s love in an abundance that we will never fully understand. God’s love is in everyone we meet. Really, can any of us give more than Jesus gave himself? So, today is a day of praise. Praise for who God is and what He has given. He has given Himself and continues everyday with His Spirit enlivening us. Look inside yourself in your struggles and you’ll find that love.